These sometimes need to be made to order, we will update you on delivery post order. SKU: TF810 Categories: Air Filters, Dust Extraction, Dust Extractors, Thor Filtration (Formerly Microclean) Tag: Free UK delivery on this machine excluding Highlands and Islands. 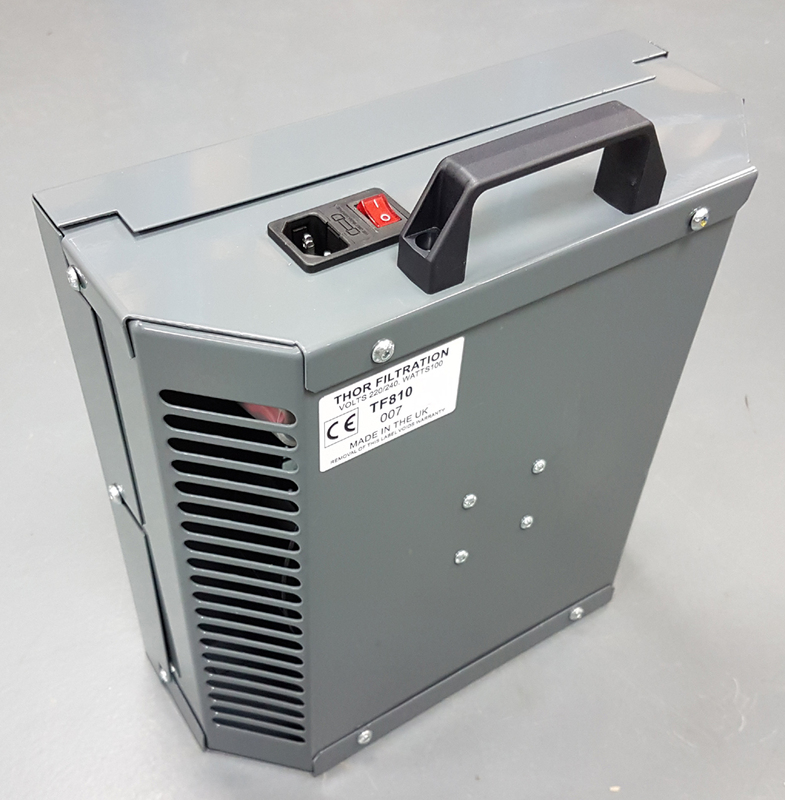 The TF810 Thor Filtration Air Filter is suitable for filtering the air in a workshop of up to 78 cubic metres air volume, around double garage size. They are reasonably quiet in operation and can also run for long periods of time. Air Filters should be used in conjunction with a dust extractor therefore enabling maximum dust control. Sat next to a particular dust producing machine, such as a lathe. Sitting on a shelf or work bench. 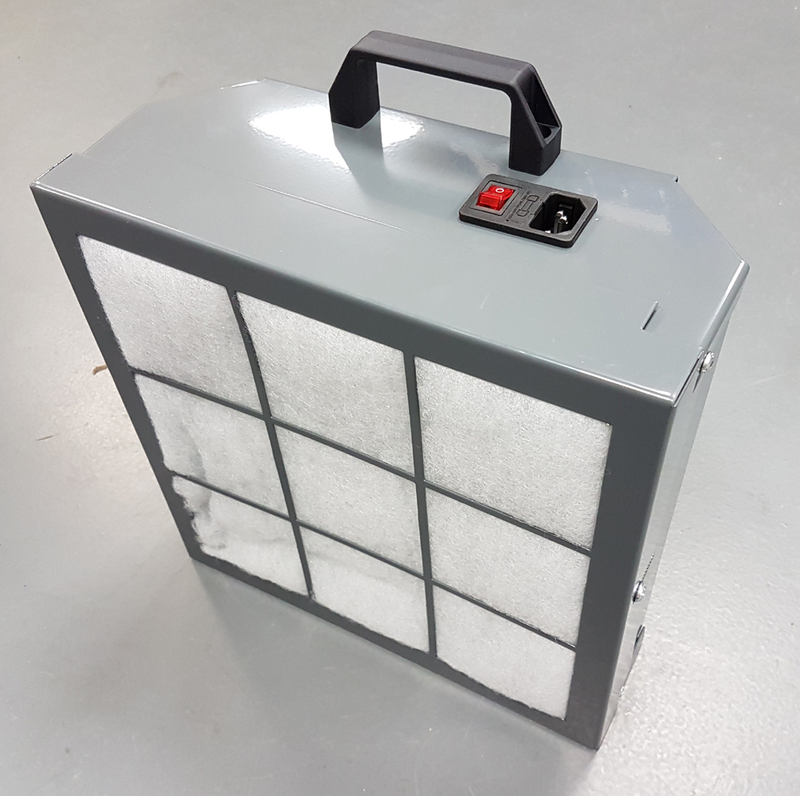 The filter is made of polyvee glass and to the EU4 standard, which means it will filter out 95% of all dust at 2 microns or larger, 80% of dust down to 1 micron and 65% of dust down to 0.4 micron. Also the filters are very easy to replace. The Microclene filters are used all over the world in lots of different environments, Timber Dust is the largest market, some other markets include : racehorse stables, hospitals, schools, colleges, universities, metal grinding, indoor aviaries, dental labs, printing works.